Brick Loot is a subscription box for children who love creating with Legos and Brick. 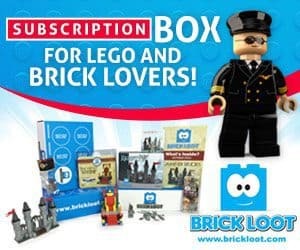 Each monthly subscription has unique, custom, and never-before-seen creations which work with Lego and custom building projects. 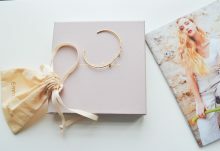 Each Brick Loot subscription box is filled with 4-8 items hand-curated by Brick specialists who scour worldwide for the latest and greatest features. 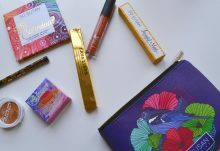 With today’s Brick Loot review, I’m unboxing the May 2017 Brick Loot subscription box. The May 2017 monthly theme is “Brick to the Future,” an ode to the 80s movie trilogy we all love. 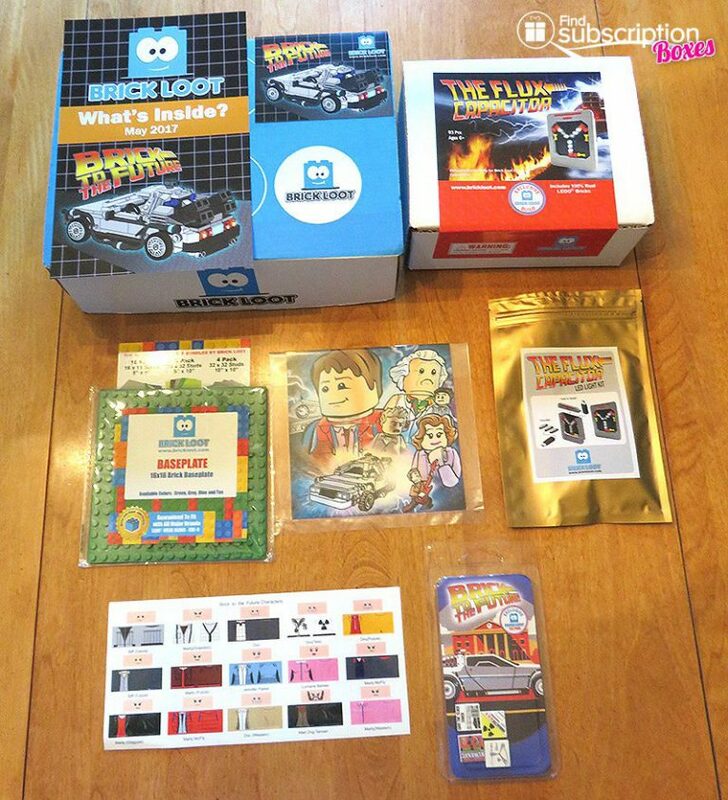 The unboxing revealed 6 items, a collectible sticker, and a coupon toward the purchase of Brick Loot brand bundles of baseplates. The Flux Capacitor is a 100% Lego build designed by Tyler Clites. Tyler loves building with LEGO, and that dedication led to his website for kids: The Creation Nation. 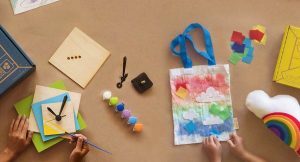 This website encourages kids to think and be creative. The Flux Capacitor resembles the one in the movie franchise. 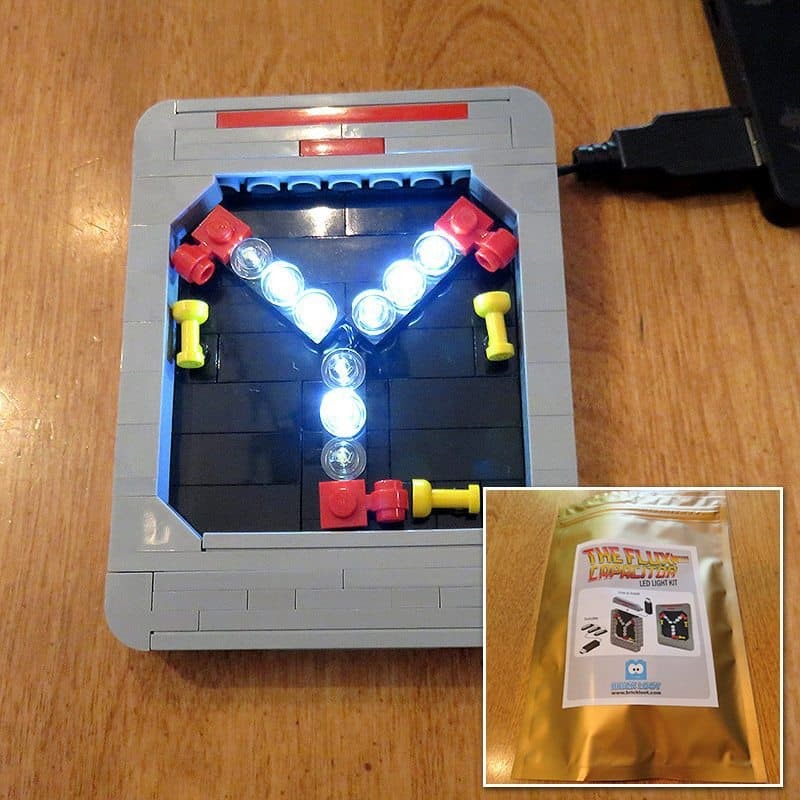 The Flux Capacitor LED Light Kit enables the Flux Capacitor to flash with 9 LED lights. Perfect for LEGO fantasy time travel. 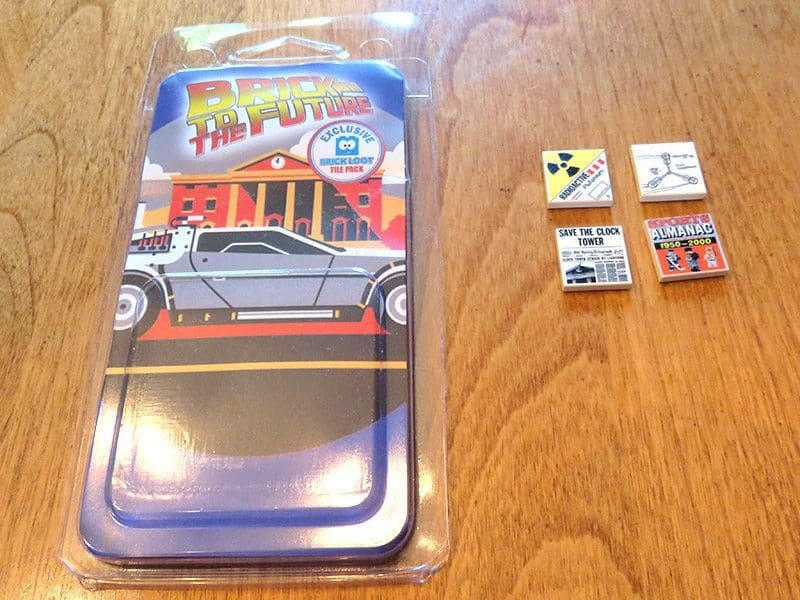 The Exclusive Brick to the Future Tile Pack has 4 custom printed tiles which are an homage to the movies. They are compatible with any Brick or LEGO brand pieces. 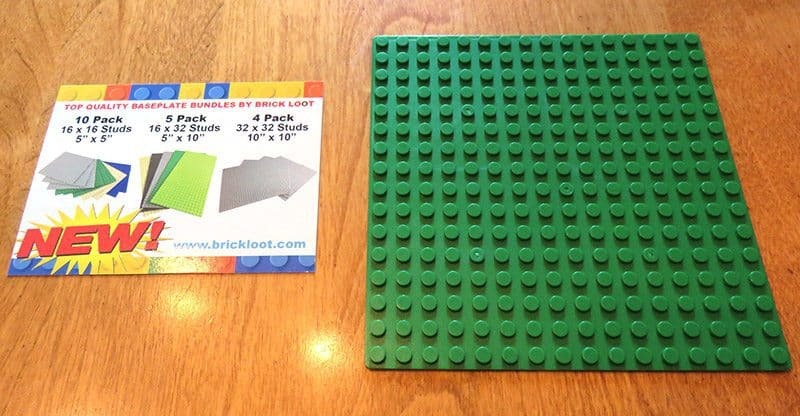 16×16 Baseplate is guaranteed to fit all major brick brands: LEGO, Mega Bloks, KRE-O, and they are available in standard colors: green, gray, blue, and tan. Our builder received a green baseplate and can’t wait to add it to his collection. The Exclusive Art Print is made by Greg Hyland and features characters reminiscent of the famous 80s movies. The collectible art print is a nice addition to the ones amassed by our builder. 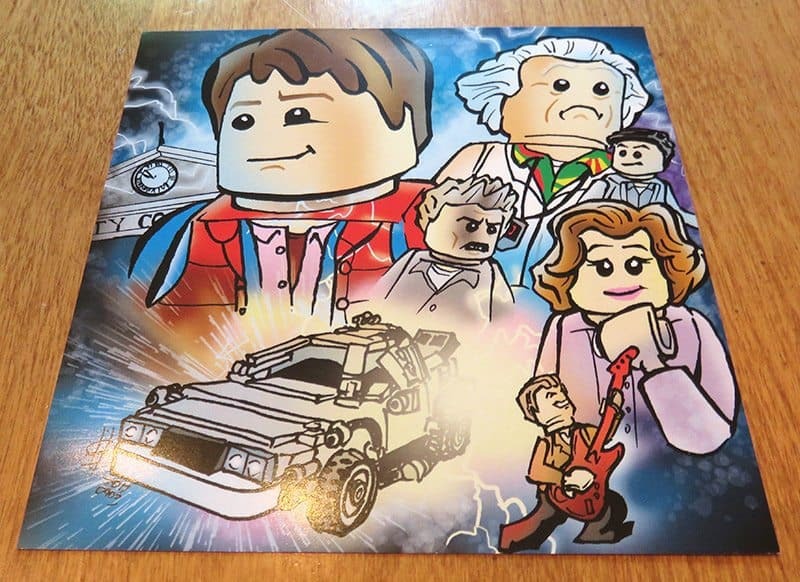 The Brick to the Future Minifigure Sticker Pack can transform any Minifigure into characters perfect for time traveling. There are 15 characters featured on the trademarked stickers. 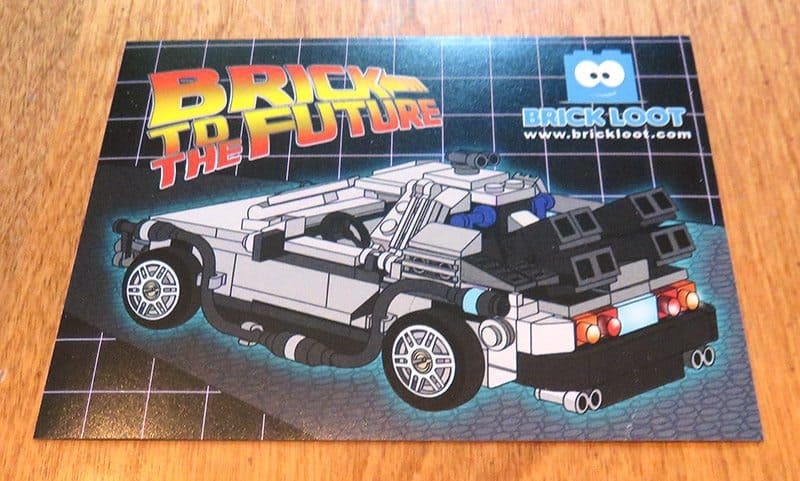 The Brick to the Future exclusive sticker features a Brick-style time machine vehicle used to transport one Brick to the Future. It’s a Brick Loot exclusive collectible. Our builder loves the movies which inspired this collection and can’t wait to add it to his vast brick collection. Who knows which decade he’ll be playing in if he can get bricks to 88mph?